It tends to use less time to transfer money online by this way. 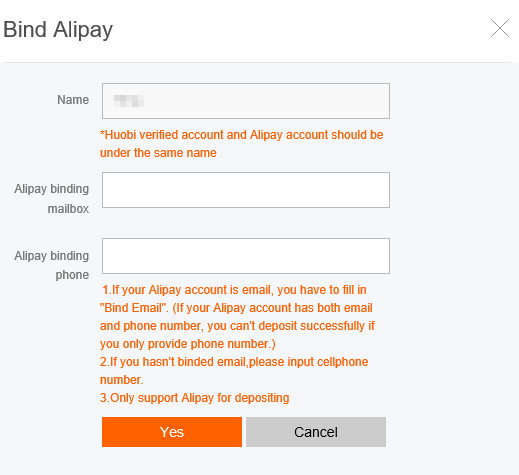 If you deposit money for the first time on Huobi, you are suggested to bind Alipay account. Then, you are able to submit the deposit order and transfer money online. Step1 Click on the ‘Funding’ button of home page. 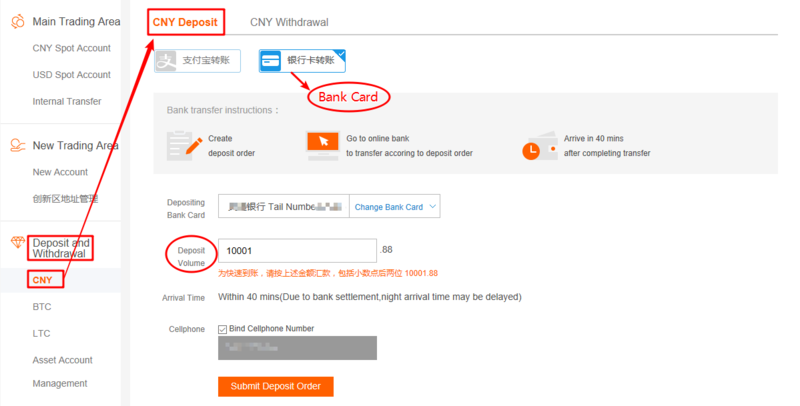 Step2 Find 'Deposit and Withdrawal' on the left column and click on the 'CNY' and 'CNY Deposit'. 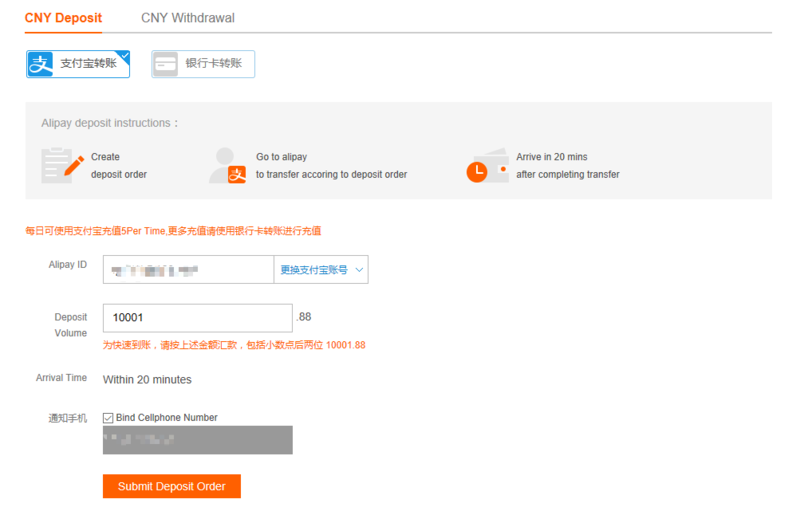 Then choose Alipay to transfer money. 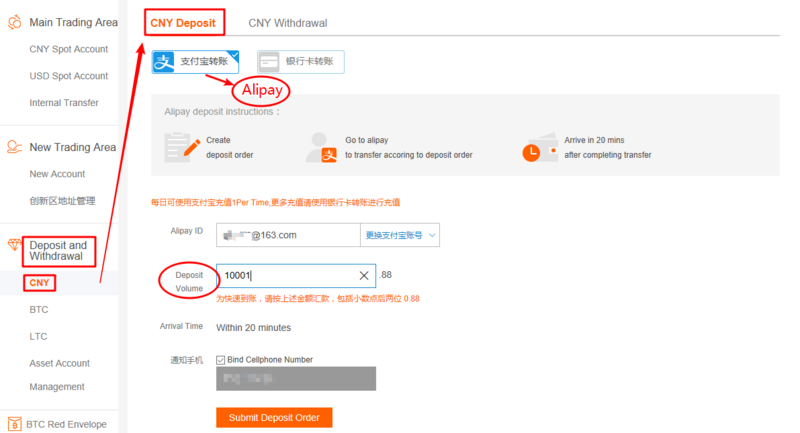 Step3 Bind Alipay if you deposit money into Huobi account for the first time. Then fill in deposit volume and submit deposit order. Please bind your one bank card. Then submit the deposit order and transfer money through either online banking or mobile banking. Step1 Click on the 'Funding' of home page. Step2 Find 'Deposit and Withdrawal' on the left column. 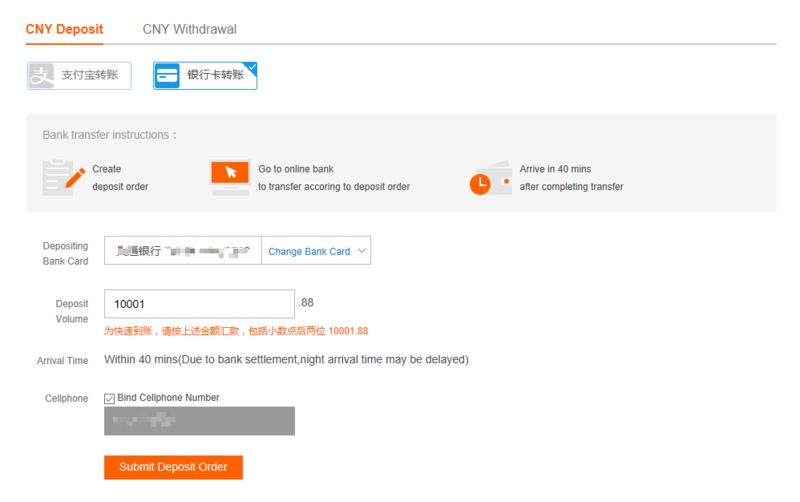 Click on the 'CNY' and 'CNY Deposit'. Then choose Bank Card to transfer money. 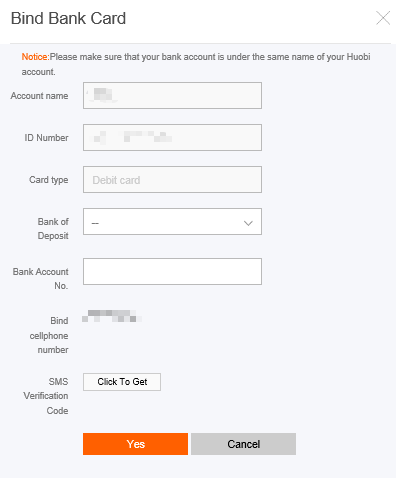 Step3 Bind Bank Card if you deposit money into Huobi account for the first time. Then fill in deposit volume and submit deposit order.